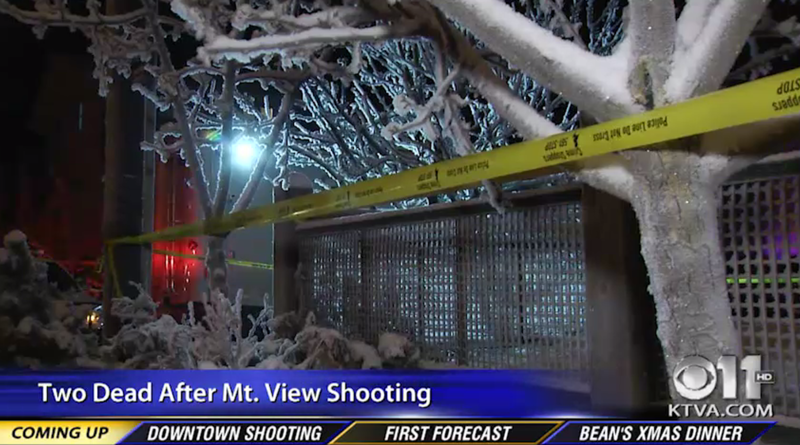 ANCHORAGE, Alaska -- A man wanted in connection to a double homicide on Christmas Eve was arrested Tuesday morning inside of a hotel in the Spenard area, according to Anchorage Police Department spokesperson Anita Shell, CBS affiliate KTVA reports. Shell provided few initial details, but said police had information that Lamarkus Jayqwann Mann, 22, was inside of a hotel room. Shell said after securing the safety of others in the building, police took Mann into custody without incident. Shell added that a second person was arrested, but she was unable to provide any additional details on the second arrest. They were taken into custody at 8:07 a.m. Shell said Mann was taken to police headquarters for questioning. According to APD, Mann was one of three people involved in the Saturday slaying of 32-year-old Danielle Brooks and 38-year-old Christopher Brooks. Jaylyn Franklin and Anthony Malik Harris are both charged with first-degree robbery, first-degree burglary and two counts of second-degree murder. Mann faces the same charges, according to online court records, but he has not been arraigned. Franklin also is charged with evidence tampering. Police believe Mann, Franklin and Harris knew Christopher Brooks and went to the couple’s home in northeast Anchorage to rob them. Late Saturday afternoon, dispatchers received reports of shots fired at the home. During the home invasion, police said, Mann shot and killed Danielle Brooks. Christopher Brooks struggled over the gun with Mann and the weapon fired again, striking Christopher Brooks and Harris. Brooks was able to walk outside the home, where he collapsed. He died at an Anchorage hospital. The suspects fled in a vehicle. Harris was taken to a hospital. A child at the home witnessed the shootings and told police, “Ninjas came to my home and killed my family.” Police did not release the relationship between the child and the couple. Police on Monday announced Mann was at large, armed and dangerous. Anonymous tips led them Tuesday morning to the Lakefront Motel near Spenard Lake. The callers said Mann was with another person. Authorities surrounded a room and ordered people inside to come out. Mann emerged and surrendered. Mann and another person in the room were taken to police headquarters for questioning. Authorities did not immediately release information concerning the second person. Online court documents do not list attorneys for the suspects.